Logisticentrum OÜ is an international freight forwarding company founded as a complete service provider to help local companies resolve their shipping, logistics & transport needs. The idea was to offer better and faster service towards our Baltic market customers, individualise the process. We do really care about your cargo. Part, Half and Full loads. Groupage Services – we ship packages worldwide. Express air and road freights. Insurance and customs document management. LTL cargo consolidation and shipping to Russia. The Logisticentrum team is committed to providing best logistics solution to our customers. Delivering professional and personalised service with every cargo we ship across the world. We combine road, rail, sea and air haulage to deliver your cargo on time and not exceeding your budget, as well as offering an express service for urgent deliveries. 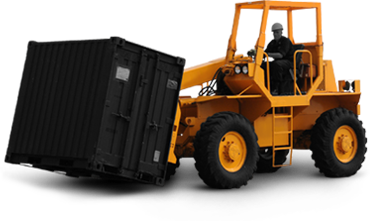 We move cargos for a range of companies including automotive, pharmaceutical, construction etc. If you have exceptional needs in moving your freight, we are just what you need since we focus on approaching every customer diligently to find optimal solutions. Strong European partnership and trusted hauliers – is our key to success. Our specialisation is in a weekly road freight between Europe and the Baltic States along with Russia. We also serve France, Germany, Belgium, The Netherlands, Portugal, Ireland, Scotland, Wales, Poland, Bulgaria, Romania, Hungary, Czech Republic etc. Despite our specialisation in European road transport we also are offering worldwide services. The Logisticentrum team has transported cargos worldwide and can offer you multimodal solutions to your logistics needs. So wherever you are located, contact us today to see what difference we can offer you with our dynamic freight solutions! Logisticentrum supports your operational and financial needs, partnering with you during shipment lifecycle. Our goal is to build expert freight forwarder relationship, to provide you with an explicit solution that is suitable to your business strategy.